– Target your market based on specific keywords. – Gather user and pin id’s from any page on Pinterest.com. 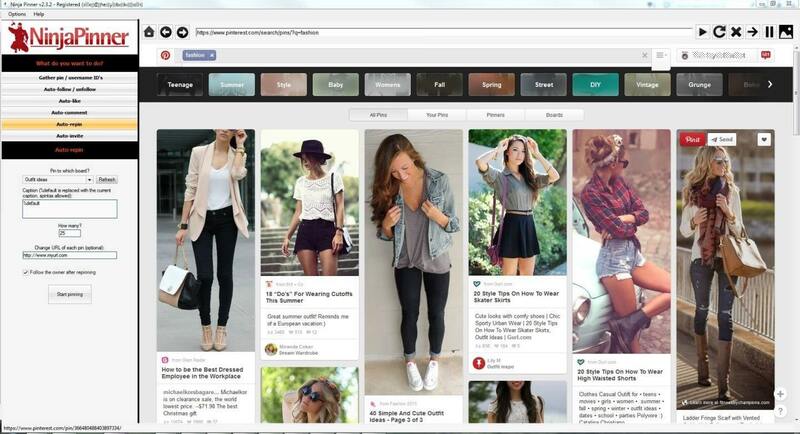 – Filter Pinterest users by follower, following and likes. – Auto Follow feature that allows you to mass follow other users fast, gaining you thousands of followers back. – Auto Unfollow function that allows you to mass unfollow users that don’t follow you. – Choose to exclude people you’ve followed ___ days ago so you can give Pinterest users time to respond before unfollowing them. – Schedule your follows, unfollows, likes, repins, comments and invites to automatically be sent at a specified time and at specified intervals. – Auto Pin feature that allows you to mass re-pin other images on autopilot getting you exposure. – Re-pin URL swap function allowing you to substitute YOUR links when you re-pin content. – Auto Commenter feature that allows you to send out comments to all others users. – Auto Comment rotation which allows you to send comments from a list of different pre-written comments. Queue up as many variations as you like. – Import and export ID’s. – Time delay feature to protect your account. – The ability to use Spintax in comments and pin captions/URL’s. – Auto-invite/uninvite others to follow your boards. 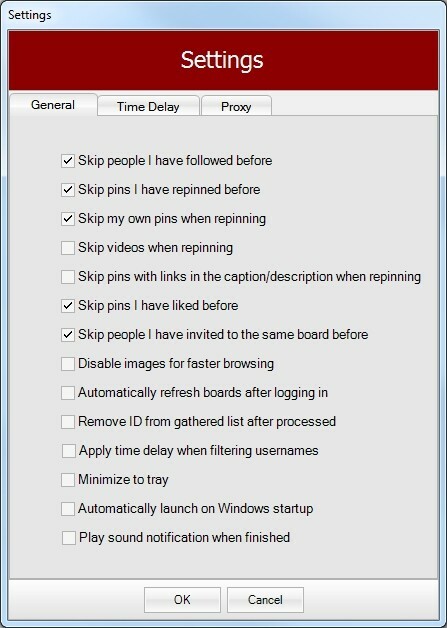 – Auto like feature that allows you to mass like pins. – Create a “Black List” for ID’s you want to exclude. – Use unlimited Pinterest.com accounts (unlimited licence only). – When repinning you can change the caption of the pin, keep the current caption, or add to the current caption. – Comes with a NinjaPinner News Bulletin to keep you up to date with the latest news. – Free product updates, support and technical assistance for LIFE. – Various other settings, see the screenshot below!